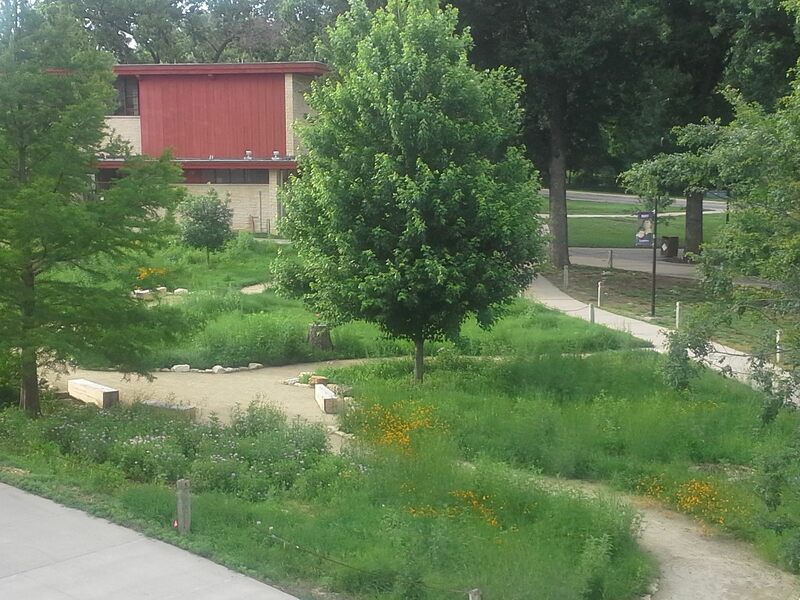 Since May, we’ve been busy planting native plant plugs (some we grew, some we purchased, all funded by K-State Green Action Fund), weeding, and grooming the Meadow. 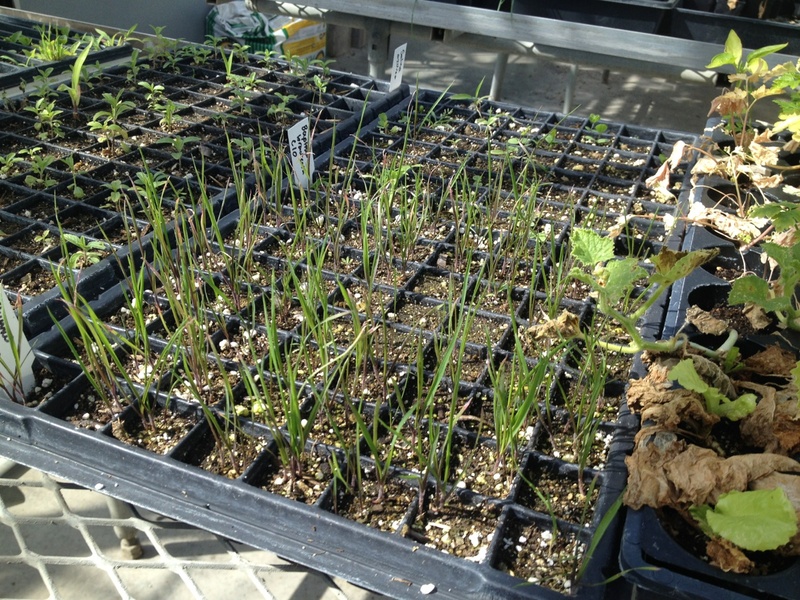 Native plant plugs growing in K-State greenhouses, sponsored by the Green Action Fund. Image by Caleb Melchior. 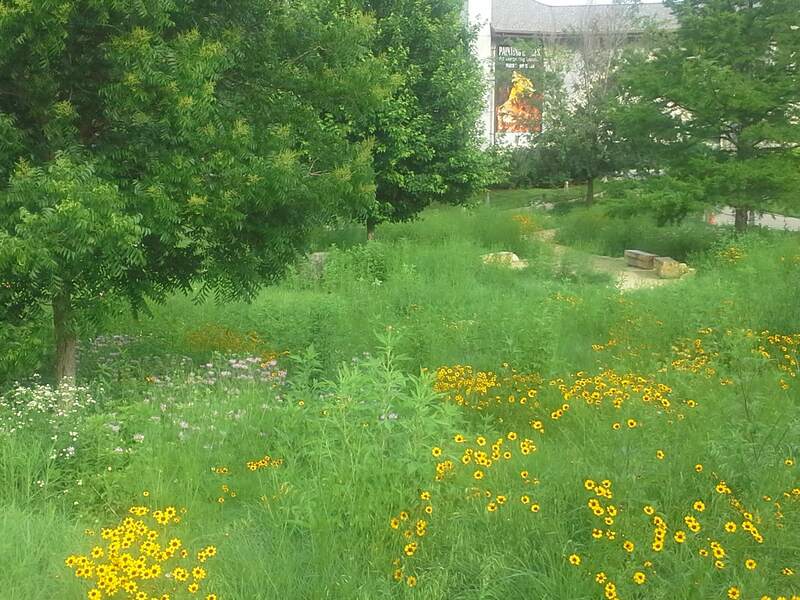 Plant establishment is going well, as you can see in the lush photos, but we are still fighting several weed species. 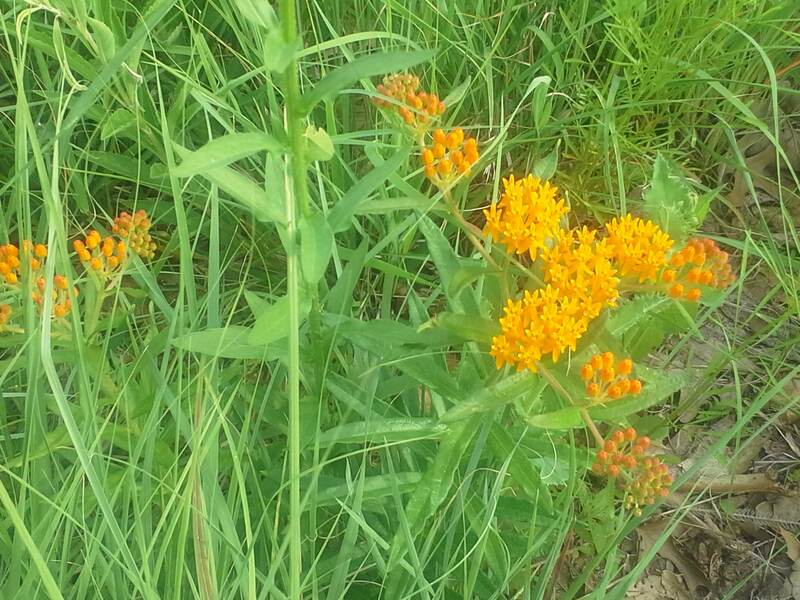 We continue to rely upon cutting back (weed whipping) and hand pulling to manage weeds. 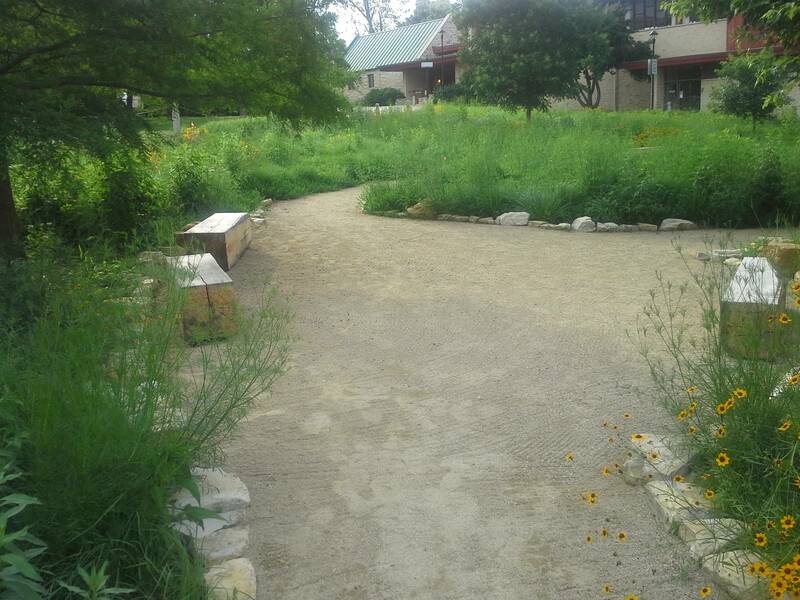 We did make a rare exception for a one-time herbicide application to a very small area of bindweed (about 12 feet along a 3 foot deep swathe of the western edge of the Meadow). 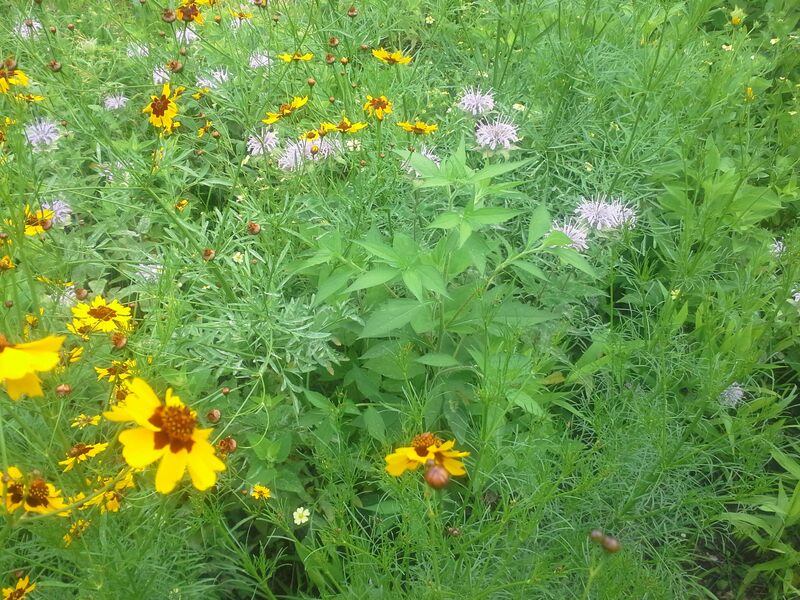 This week, we enjoy the blooming bee balm, butterfly milkweed, plains coreopsis, and rose verbena.